The haiku master Matsuo Bashō wrote this work that alludes to an oak, robust, majestic, of consistent wood, unperturbed by the arrival of the new spring. An oak that, from its early days as a shrub, has been gaining strength and lets time pass by. This quote was chosen due to its provocative, interpretative terms, an attribute that all quality haiku must possess—author and reader in complicity. I am referring to the impassivity of the oak, to its indifference that is somehow contradictory, to something gestural in the tree, hiding a feeling that, surely, does not always dare to manifest: its vegetal and human condition. The University of Salamanca, sometimes strong, sometimes indolent or sensitive to changes, celebrates its 800th anniversary. It is the oldest university in Spain, one of the oldest in Europe and therefore in the West, and it was the first with an official status conferred by the Royal Decree issued by Alfonso X El Sabio in 1252. Proud of its past and of what it has been gathering for centuries, the university takes advantage of this to look into the future with determination and, particularly, the universal spirit that its etymology reveals. In Latin America and Europe, Spanish language is the link between science and arts, and as an element that could seem exotic for Japan but it is far from being so. In addition, we celebrate the 150th anniversary of the official establishment of diplomatic relations between our countries. Delving into history, these relations date back to 1549, coinciding with the arrival of the Jesuit priest Francisco Xavier in Kagoshima. In 1582, Otomo Sorin, who was associated with members of the Society of Jesus, sent the diplomatic mission to Rome and to the highest leaders of the European continent including the Spanish Empire ruled by Felipe II. 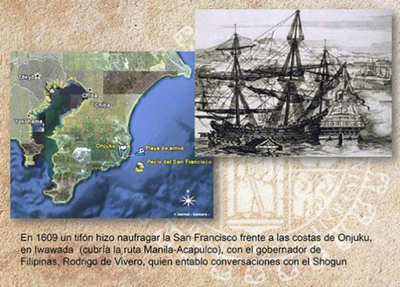 In 1609, the shipwrecked sailors of the galleon San Francisco approached Iwawada, in the vicinity of Onjuku, Chiba Prefecture, when the vessel was affected by one of the typhoons of those inhospitable seas for sailing ships, and 300 crew members were rescued and welcomed. Among them was the governor of the Philippines, Rodrigo de Vivero, who was received by the Shogun, in what was the first audience of a Spanish leader in Japan. 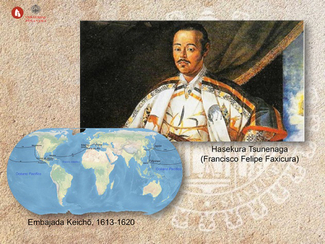 Between 1613 and 1620, the samurai Hasekura Tsunenaga headed a diplomatic mission, called the Keichō Embassy. He disembarked in Coria del Río after a long travel through the Pacific and Atlantic, practically carrying out a circumnavigation that was memorable for the time but barely considered. After more than two and a half centuries, the relations between Japan and Spain were ratified as Higashikuze Michitomi signed the Treaty of Friendship, Commerce and Navigation on November 12, 1868 in Kanagawa. Two years later, Tiburcio Rodríguez y Muñoz, chargé d'affaires of Spain, was received by the Emperor. Later, gradually, these relations would be intensified. In 1878, Ernest-Francisco Fenollosa, a U.S. citizen of Spanish origin, joined the newly founded University of Tokyo as a teacher. He was considered as the introducer of Japanese art in Spain at the time he was promoting the Tokyo Fine Arts School. In 1893, the Spanish Language Society was born, directed by Hachisuka Mochiaki. 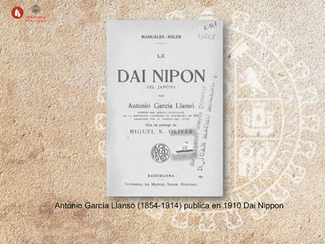 The first translation of Don Quixote into Japanese was made in 1905 and then, Antonio García Llansó published Dai Nipon, the first book on Japanese culture and customs written in Spanish in 1910. In the last year of the 20th century, the Spanish-Japanese Cultural Center was born out of the intricacies of a multi-centennial university and the University of Salamanca Association was established in Japan. Founded in 1999, the Spanish-Japanese Cultural Center aims to promote knowledge and cooperation between Japan and Spain, ranging from academic and cultural exchanges to economic relations. For this purpose, it works in collaboration with the University of Salamanca Association in Japan, with companies, teaching and research institutions, Japanese and Spanish non-governmental organizations, as well as with the local authorities of both countries. Amongst its activities are the teaching of the Japanese language, Japanese Culture Week, course offerings for professionals and business people, the organization of artistic and cultural courses, support for higher education and the promotion of research concerned with Japan and East Asia as a whole. In 1996, the governing team of the University of Salamanca commissioned architects a project for the rehabilitation of the Arias Corvelle Palace so it could be used as headquarters of what would be the Spanish-Japanese Cultural Center at the request of the Embassy of Japan, then headed by Ambassador Kiyohiko Arafune. The Arias Corvelle Palace was built around 1470. In the 16th century, medallions were placed in the courtyard and the wondrous staircase of the palace was shaped. The façade was restored in the 18th century, being adapted to the fashion of that time and provided with an original sgraffito that is unique in the city and monumental by definition. 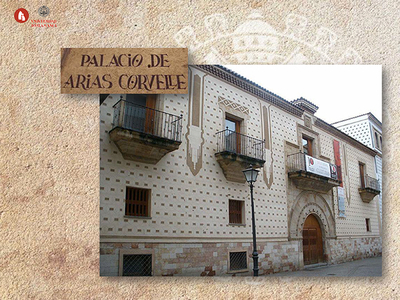 The Spanish-Japanese Cultural Center is located in the former Arias Corvelle Palace. The Renaissance staircase, now protected from the inclemency of the seasonal weather of Salamanca since it was moved indoors into the building, leads to the Empress Michiko Hall, the only cultural center in the world to have been granted permission to bear the name of the Japanese Empress. The hall has hosted dozens of exhibitions of artists from Japan, Spain and other countries: painting, engraving, origami, ikebana, ceramics, posters, collages, photography, textiles and kimono, gyotaku fish print, kirigamipaper cutout, everyday objects, art dolls, and sculptures. Typical Japanese art, Spanish art with a vision of the East, mixed inspiration art, in figurative or abstract exhibitions that definitely attempt to bring closer or merge both universes. The Japan Foundation, the Embassy of Japan and other organizations collaborate to maintain a level of outstanding quality. A scene from a Japanese language class at the Empress Michiko Hall. A tea ceremony held during the 2018 Japanese Culture Week. Not far from the Empress Michiko Hall, following the upper corridor of the patio, we arrive to our classrooms and Assembly Hall, where the course offerings are extended with crafts, tea ceremonies, koto, shamisen and shakuhachi concerts, literary conferences, haiku, children's games and plastic art, robots, culinary, puppets, performances, dance, and calligraphy. As a highlight, there is the traditional Japanese Culture Week where local people can enjoy some of these activities. With 18 uninterrupted editions, the event has been offering the whole city the possibility of getting closer to this country. The Japan Foundation has played a key role in continuing these activities. The reference to Japanese language courses deserves a special mention. There are several levels in an annual and intensive format. 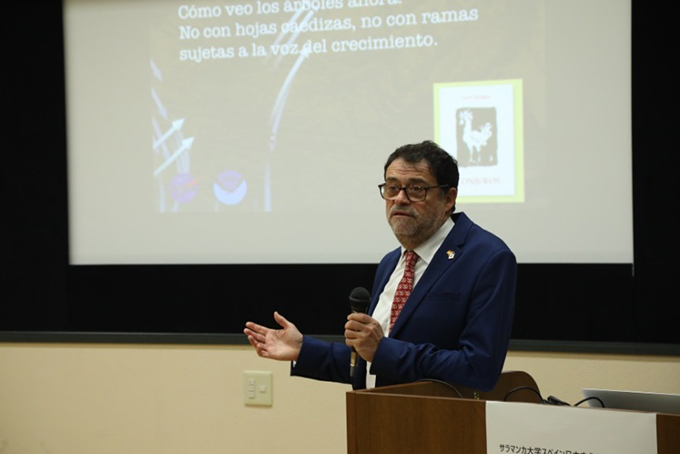 More than 4,000 Spanish students have passed through the classrooms of the Spanish-Japanese Cultural Center to begin their Japanese studies, to speak and try to read this convoluted but sweet and elegant language to Westerner ears. The studies continue with other regulated academic activities: Bachelor's degree in East Asian Studies (specializing in Japanese Studies) and master's degree in East Asia (postgraduate in East Asia-Japanese Studies). In total, there are 38 educational cooperation agreements between Japanese universities and the University of Salamanca, with hundreds of students of Spanish language and other disciplines visiting us every year. The Spanish language stands out, but it is common to see in the corridors of our colleges, classrooms and laboratories of Biology, Geology, Chemistry, Biochemistry, Physics, Computer Science, Pharmacy or Medicine, students and teachers from Japanese universities—about 200 per year approximately. The activities of the Spanish-Japanese Cultural Center have not been limited to the conventional ones. Instead, other activities of institutional interaction and coordination were developed, such as the management of scholarships between Japanese and Spanish students. To finish the description of the facilities and activities, I intentionally chose the Ambassador Eikichi Hayashiya Library of Japanese Studies. It has more than 6,000 volumes and offers access to various databases that facilitate and enable the research work of specialists and make it possible for any curious individual to consult or read reference or popular literature in Japanese, as well as to access translations of Japanese authors in Spanish. The 100 books in Spanish to learn more about Japan, a list prepared by the University of Salamanca Association in Japan, and the manga collections in both languages, are in most cases the product of generous donations from institutions or individuals. The Ambassador Eikichi Hayashiya Library of Japanese Studies houses books related to Japan. Eikichi Hayashiya was a mentor, creator and inspirer. The Hispanic intellectual, first and foremost a lover of the University of Salamanca who received the degree of Doctor Honoris Causa in 2010, deserves not only that the library bearing his name but also our respect and admiration. We will always be indebted to him as the founder of the association and promoter of the center. The Spanish-Japanese Cultural Center of the University of Salamanca would not exist without cooperation of Japan's imperial family, Their Majesties the Emperor Akihito and Empress Michiko. Their first visit was in 1985 when they were Crown Prince and Crown Princess. Their second visit that took place in 1994 as Emperor and Empress was decisive for our city and our university to be chosen to host in Spain the hallmark leaders of Japan. The proximity of Their Majesties the Emperor and Empress with Salamanca and the institution culminated in the consolidation of the Spanish-Japanese Cultural Center. It was complemented by other initiatives such as the restoration of the cathedral organ in Salamanca and the construction of a replica of the organ and recreation of the façade of our university in the Salamanca Hall of Gifu Prefecture. The relations with Japan's imperial family were strengthened with the visit of the Crown Prince in 2013, coinciding with the Spain-Japan Dual Year, and the visits made by Their Majesties the Emperor and Empress, with emphasis on the last one in which we had the honor of celebrating the 20th anniversary of the University of Salamanca Association in Japan. 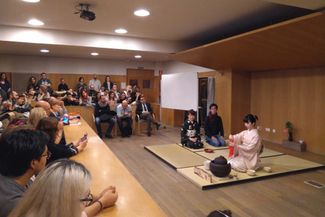 In brief, the Spanish-Japanese Cultural Center, the House of Japan and its inseparable companion, the association, were able to bring together the two countries, over nearly 20 years, starting from a modest position in a corner of Spain, which is Salamanca, through its university. For 20 years, the center has been explaining tradition with an eye on the future, promoting languages and bringing science and arts closer together. This is what the Royal Spanish Academy defined the term University as universality, entirety with the community, teachers and students. I encourage students and teachers to start or continue their career beyond the nearest classrooms or laboratories. This institution and the Japan Foundation offer that possibility by providing the knowledge to be able to undertake such decision with guaranteed success. The University of Salamanca welcomes them. For over 800 years, our university has opened up to the world. To conclude this text, I introduce Claudio Rodríguez, a student at the University of Salamanca who was born in Zamora, Spain. Although a poet with long and penetrating verses, sometimes, in his paraphrase, a haiku can be glimpsed: vital, optimistic, hopeful. Imagine the same firm oak referred to by Bashō that now looks beyond the blooming trees that it has around, beyond contemplating itself, open to everything that happens in its environment, living with its surroundings and inviting us to partake of the same. How I see the trees now. 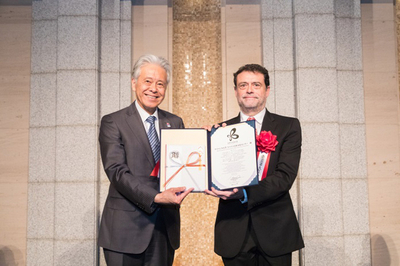 Director of the Spanish-Japanese Cultural Center of the University of Salamanca. Professor of Micropaleontology and Oceanography at University of Salamanca, Spain. 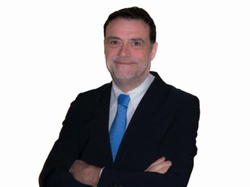 He also serves as Coordinator in the Spanish National Agency for Research (AEI, Agencia Estatal para la Investigación) of the program Earth Sciences and Water resources. The University of Salamanca celebrated its 800th anniversary in 2018 as one of Europe's oldest universities, serving as a world-class center of scholarship and international exchange that has led in disciplines such as international law, philosophy and literature. 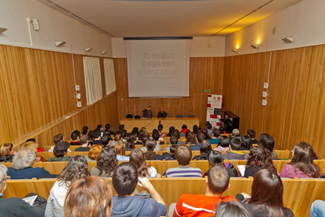 Since the establishment of diplomatic ties between Japan and Spain, the university has hosted many Japanese researchers, students and diplomatic service trainees. The current Emperor and Empress of Japan have visited the university twice. 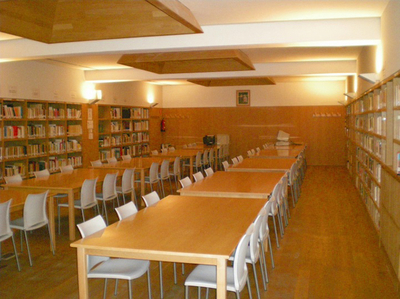 Their visits inspired the establishment of the Spanish-Japanese Cultural Center of the University of Salamanca in 1999.